Yang’s Noodles: Dumplings To Die For | AYAH! 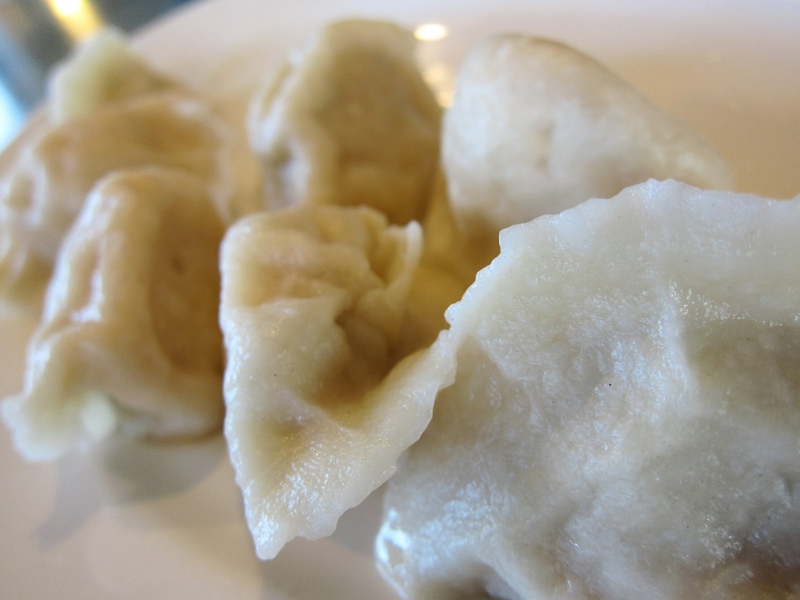 Quite simply, one of the best things to eat at Yang’s Noodles are the dumplings. They’re hand-made from scratch, everything from the dough to the filling. There are four fillings to choose from; Chinese cabbage and pork; chive, shrimp and pork; celery and pork; and mixed vegetables. They’re moist, bursting with flavor and the dough has a great chewiness to it. The dipping sauce adds just the right flavor component. There are four ingredients that go into it; soy sauce, vinegar, sugar and cilantro. The master behind it is mysteriously known as “Mr. Yang”. I got a behind-the-scenes look at how the dumplings are made. It’s not just the dumplings that are delicious. Any dish you eat is cooked with care. 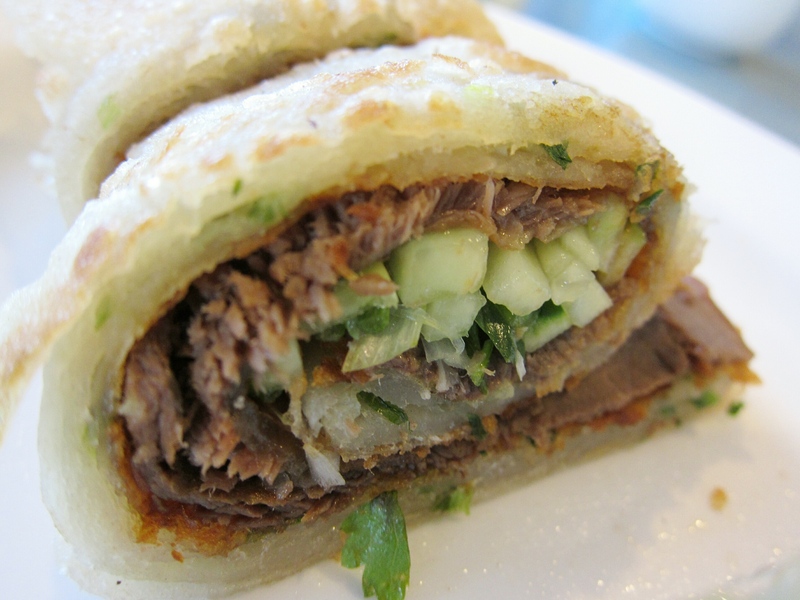 A popular side dish is the beef roll, wrapped in a layer of flaky dough and crunchy vegetables. And don’t be afraid to try the spicy beef tendon. My friends say this meat is difficult to soften and flavor, but it comes off with just the right texture and chew. Mr. Yang makes noodles by hand on a daily basis, hence the restaurant’s name. It’s what sets it apart from a lot of other Chinese restaurants. 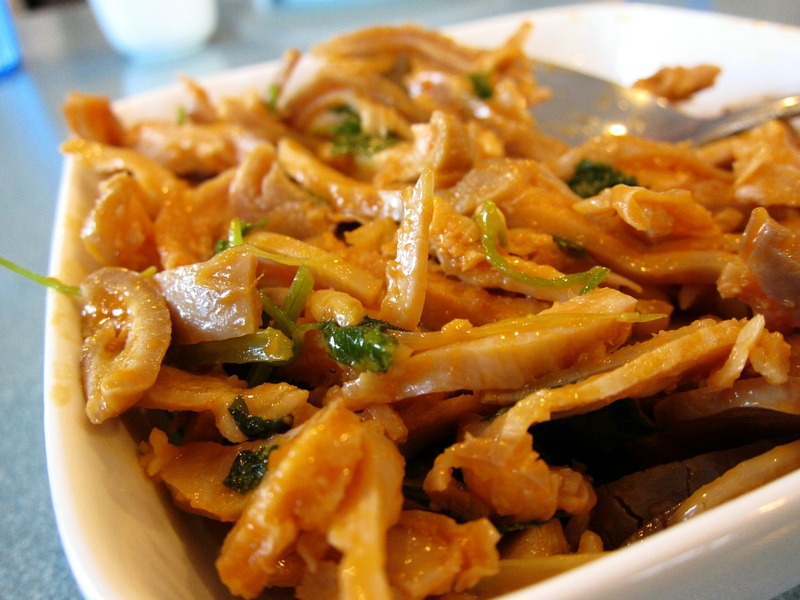 It’s a no-fuss place to eat; good, hearty, and steaming hot Northern Chinese cuisine. 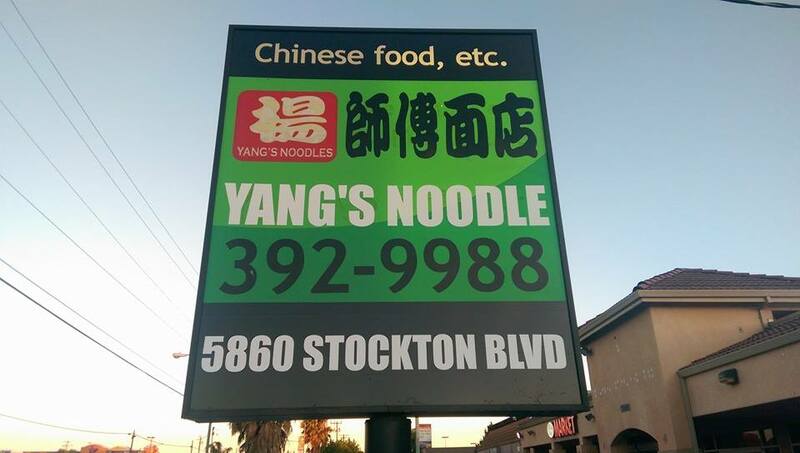 After a thrilling restaurant review in the Sacramento Bee — which is now prominently displayed in the dining room — Yang’s Noodles had some more good fortune on its side. The owners, who were working extremely long hours with just a handful of staff members, received an offer they couldn’t refuse. A man who happened to be eating there one day, loved the food so much, he offered to buy the restaurant on one condition: the staff stays, thereby the food stays. A handshake set the deal in motion. Enter: Jack Su. A successful business entrepreneur with a lot of experience in the restaurant world, and most importantly, Chinese food. Su used to run a Chinese fast-food restaurant chain that was sold to what is now Manchu Wok. Su realized the restaurant’s potential. He saw past its dilapidated furniture, worn walls, and tired facade. So, just when the restaurant started gaining momentum with an influx of new visitors following the review, Su decided to take a risk and shut down to do a complete remodel. It lasted for about a month — which is ages in small business time. For many, it might as well be a nail in the coffin. The only sign of life at the restaurant was a few construction company pick-up trucks and a message posted on the door, promising to reopen with a new look. But Su was confident that if you build it, they will come. So, when the doors reopened, the customers slowly trickled back in, lured by the kind of food you can’t get anywhere else in Sacramento. 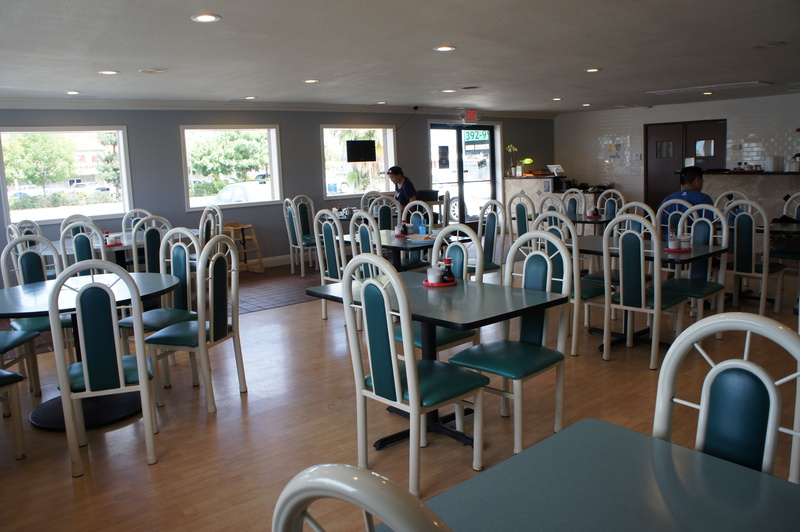 Now you walk in, and it looks polished, clean, brightly-lit and inviting — exactly the kind of place where you’d want to take your family for dinner. Su says he spent about $100,000 to renovate the old building, cleaning up the exterior and ripping up the interior. And it’s clear he wants it to succeed. On any given day, you will see Su serving entrees, bussing tables and working the cash register. Su has a clear vision for the future of Yang’s noodles. He loves the food that’s there now. But he wants to expand the menu to include a wider variety of Asian cuisine, like Cantonese and Vietnamese dishes. Bottom line, Jack Su wants to roll in the dough…literally and figuratively. If that’s not the American dream, I don’t know what is. ← Eat this. No really, it’s good!